This Bjorn Borg Mens Brief is made from 95% Cotton & 5% Elastane. Our Collection at Boxers and Briefs contains only the highest quality Bjorn Borg Mens Underwear. 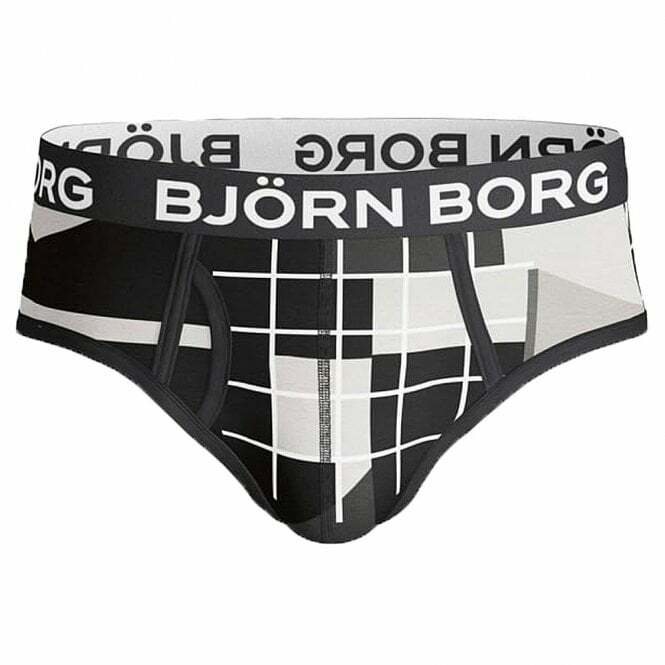 In our Bjorn Borg Multi Collage range we have the Bjorn Borg Multi Collage Brief, Black. Read between the lines to see these BB Multi Collage Briefs are a must-have for your underwear drawer. You'll look anything but basic in black and white clad wearing this bold pattern, a dizzying yet mesmerizing combo of shapes, stripes and patterns. Soft cotton stretch and the mid-rise cut are perfect for everyday wear. Pack of one. 95% cotton, 5% elastane. We have the Bjorn Borg, Black, Multi Collage Brief which are available in multiple sizes ranging from size Small to Extra Large.